Luis Gonzaga Urbina (1864-1934) was born in Mexico City 8 February 1864. In his lifetime, he was one of Mexico’s best-known poets, straddling the boundary between romanticism and modernism. Urbina studied at the National Preparatory School and worked, for a time, as the personal secretary of the Education Secretary Justo Sierra. Urbina taught literature and was a reviewer of theater and music for publications such as El Mundo Ilustrado, La Revista de Revistas and El Imparcial. In 1909 he was chosen to lead the compilation of a literary anthology, Antología del Centenario, to commemorate the 1910 centenary of Independence. Urbina’s lengthy introduction provided an insightful overview of the history of Mexican literature. The following year (1910), Urbina published a collection of poetry Puestas de sol. This is often regarded as Urbina’s finest work. It includes “El poema del lago” (“The Lake Poem”), a lengthy poem inspired by a visit to Chapala. “El poema del lago” builds on an earlier prose piece, “Frente al Chapala” (1905). árbol vetusto y seco sin una verde rama? como un espectro tiendes tu sombra en la llanura. ancient tree, withered, a memory of green? During the early part of the Mexican Revolution (which began in 1910), Urbina was Director of Mexico’s National Library (1913-1915). When revolutionary forces took Mexico City in August 1915, and Álvaro Obregón became president, Urbina left the country for exile in Cuba, where he taught and continued his career as a journalist. In 1916, El Heraldo de la Habana sent Urbina to Spain to be its Madrid correspondent. 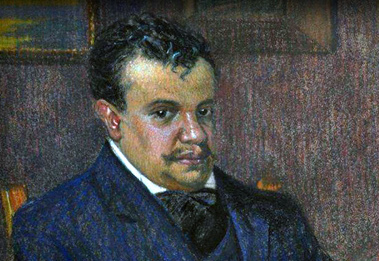 At the time, due to the Mexican Revolution, many illustrious Mexicans were living, studying or exiled in Spain; they included Alfonso Reyes, Martín Luis Guzmán, Diego Rivera and Ángel Zárraga. Urbina spent much of 1917 in Buenos Aires, Argentina, and from 1918-1920, was appointed the First Secretary of the Mexican Embassy in Spain. A man of many parts, but best remembered for his original, emotive and elegant poetry, Urbina died in Madrid, Spain, on 18 November 1934; his remains were returned to Mexico and interred in the Rotonda de las Personas Ilustres in Mexico City. His academic publications include Antología del centenario (1910, in collaboration with Pedro Henríquez Ureña and Nicolás Rangel); La literatura mexicana (1913); El teatro nacional (1914); La literatura mexicana durante la guerra de la Independencia (1917); La vida literaria de México (1917); Antología romántica 1887-1917 (1917). His collections of poetry include: Versos (1890); Ingenuas (1910); Puestas de sol (1910); Lámparas en agonía (1914); El poema de Mariel (1915); Glosario de la vida vulgar (1916); El corazón juglar (1920); Cancionero de la noche serena (1941).